The freedom to live includes the freedom to own. "My husband and I worked with Demetrius to purchase our first home. He is knowledgeable, approachable, personable, and patient. As first time homebuyers we were not familiar with a lot of the terminology and right away Demetrius took the time to sit down with us to explain things and assist us in determining what would be a good fit for us. He made himself readily available and always answered and or returned our many calls and text. He kept us up to date every step of the way. Demetrius is a hard worker and goes above and beyond for his clients. We highly recommend him." Averaging three times the production and more advanced industry education than other agents, RE/MAX Associates are truly "The Real Estate Leaders" in quality customer service. Customer satisfaction is reflected in their high, industry-leading rate of repeat and referral business. Deciding to sell or buy a home is a big step. To make sure its a step in the right direction, choose the person best qualified to handle your real estate needs: a RE/MAX Sales Associate. 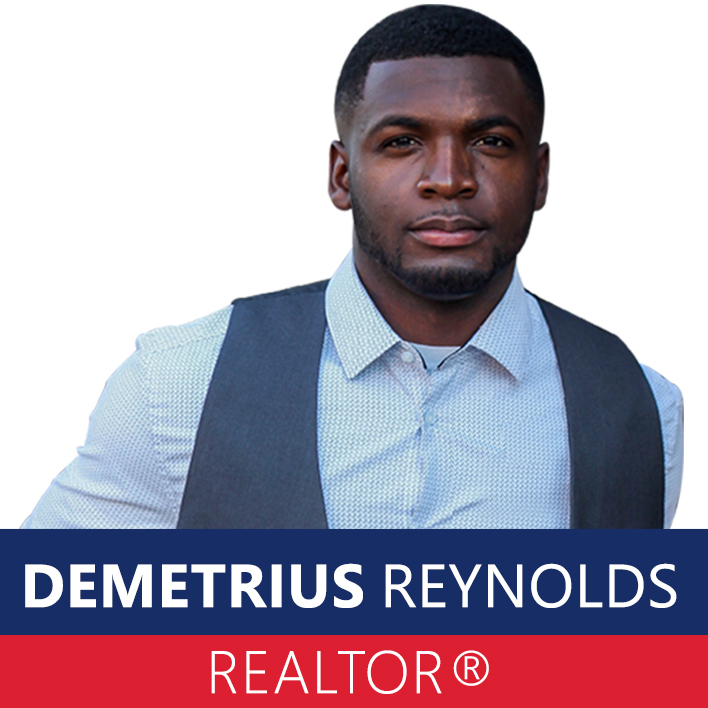 "I've never met a realtor that was more helpful than Demetrius Reynolds. He'll take the time to answer any questions you have, no matter what. I would highly recommend him to anyone looking for a new home!"